Inside: Bloggers – increase your pageviews using these tips! All of them combined helped me increase my pageviews rapidly over the course of one short month. Four months into blogging, I was slogging away and barely hitting 3,000 pageviews a month. I churned out content, stayed up late, and scheduled my pins on Boardbooster. Nothing worked. I wanted more pageviews, but I had no idea how to get them and next to nothing to spend finding out how. Like so many other new bloggers, I didn’t have a lot more to spend on blogging resources. I had already spent a lot of money on hosting, a theme, a P.O. Box and more. It’s hard to justify sinking more into something that is generating less than a dollar a day of actual income (and you probably haven’t even seen one of those dollars hit your bank account yet, am I right?). Pin scheduling, while definitely saving me time, did not seem to be producing very many results. Then, I stumbled across a blog post on Pinterest explaining how one blogger rapidly increased her pageviews through manually pinning to Pinterest. The referenced e-book Pinteresting Strategies was extremely affordable compared to other blogging books and courses. I didn’t have much to lose (I mean – 100 pageviews? ), so I cancelled my Boardbooster account and started reading. By the time I finished that book, I finally felt like I understood Pinterest. I took a class earlier this year that definitely increased my understanding and gave me great pointers I couldn’t find anywhere else, but after I read this book, I finally feel extremely confident focusing on Pinterest as my main social media platform. While I do attribute the majority of my leap from less than 3,000 pageviews a month to 43,000 pageviews in one month to Pinteresting Strategies, I did do a few other things that contributed to my success. Read on to find out everything I did differently in June. 1) Created a pinnable image and pinned every single post to Pinterest. You may not think certain topics are worthy of Pinterest, so you don’t even bother making a pinnable image at all. A large percentage of my pageviews in June came from a post I wrote early in my blogging career, one I did not think would attract so much attention. In fact, I barely promoted it on Pinterest at all. I simply pinned it to my “Best of This Simple Balance” board and a “simple living” group board. The pin had maybe 10 repins the last time I checked. It definitely was not in my regular pin rotation, though I was looping my “Best of” board using Board Booster. Somehow, the right person came across it and pinned it. I checked my Google Analytics one day to discover that more than 130 people were on my site at the same time! So exciting when you’ve barely seen three visitors at once. Then, it attracted 7,000 pageviews over the next three days. Because it attracted both negative and positive comments, I was a little scared to share it again. But I decided to do it after getting accepted to a large group board that I did not think I would get accepted to. Pinning it to the large group board (with over 55,000 followers) sent it through the roof! It received close to 17,000 pageviews that weekend and put my little blog on the map. I was thrilled! The best part about focusing primarily on Pinterest is that Pinterest users will sometimes share on Facebook, which is how I generated about 4,000 of those nearly 44,000 pageviews. 2) Asked to join Pinterest group boards all the time – and asked big. Remember that group board I mentioned? I never thought I would get accepted, but I asked anyway. The board owner said yes! You just never know. I am constantly searching Pinterest for new group boards. I find other bloggers in my niche and see what boards they are on. It’s an arduous process, but it definitely increases your reach when you get onto bigger boards. 3) Started manually pinning on Pinterest. I bought Pinteresting Strategies and gobbled it up. Carly (Mommy on Purpose) knows Pinterest, and I finally understood why certain pins were not coming up in search engines and others were; why certain pins were popular and others weren’t. I finally had step by step actions to take. Carly explained exactly where to pin my original pin and in what order to pin to each of my boards. I love people who lay out exactly what to do and how to do it. I began to pin my top twenty pins manually every day (10 homeschooling pins to my homeschool group boards and 10 parenting pins to my parenting group boards), but not just from Pinterest or from my website itself. I pinned from another source that I learned about in the e-book, one I would never had come up with on my own. Carly’s amazing guys – seriously. 4) Networked like a boss. They say blogging is all about networking, but you don’t really believe it until you actually talk to other bloggers. Most of the bloggers I have talked to are super generous! They respond to e-mails with blogging questions that they probably don’t have time to answer. They give back because they remember being where you are right now, struggling to gain an audience and figure out everything blogging. A couple months ago, I noticed on Pinterest that a blogger in my niche lived in my city. I reached out to her asking for a coffee date. This was a big deal – she was a guest on one of my favorite podcasts and very well-connected in the homeschool niche, at least with the people I wanted to connect with. I didn’t expect her to say yes. By getting together in person, I made a great friend, a future homeschool mentor, and an advocate. She has helped me to make great connections in my niche. I received the invite to the facebook group through this same blogger friend (thanks for being awesome, Mary!). The facebook group included a weekly content sharing thread. I love this particular group because there is absolutely no pressure to share anything (none of the “pin the above five posts” for every post your share). Generosity is encouraged, and I have found homeschool bloggers to be extremely generous and supportive! I have definitely received traffic from participating regularly in this group. 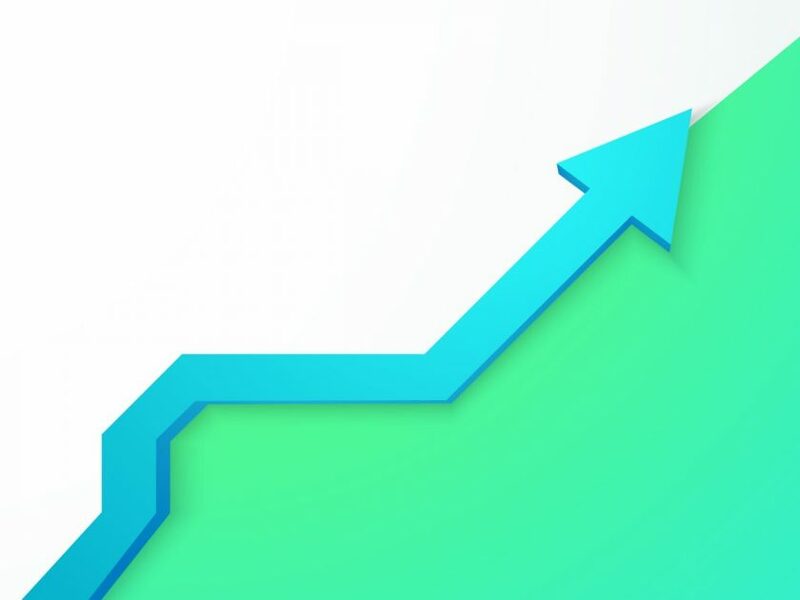 The major benefit, I have found is to get traffic from social media sources other than the platform you are currently focusing on. I focus on Pinterest pretty exclusively right now, while the bloggers in my group already have an engaged Facebook and/or Twitter audience that I didn’t have to build, already primed for the type of content I create. Win! 4) Wrote a “Part Two” to the original post. While it has not attracted as much attention as the original post, it offered potentially double the pageviews on the original article. Not everyone has read part two, but some people did. Update: This post received almost as many pageviews as the original in July! I had seen the Milo Tree plugin before on several bloggers sites, asking visitors to follow them on Facebook, Instagram or Pinterest. Because it was a paid plugin, I steered clear initially. However, when I learned you could try it for free for three months, I jumped on it! It has increased my followers by 3-7 followers a day since I started using it (without any of that following, unfollowing stuff), which of course makes it far more likely that I will get accepted to new group boards. You can check out MiloTree HERE. Lena Gott of What Mommy Does went from 17K pageviews to 350K pageviews in nine months, and she wrote about it in her e-book Traffic Transformation Guide. Thankfully, I snapped it up before a recent price increase. The updated version is more expensive, but I believe the information she shares is worth the cost. This book is jam packed with creative ways to increase your pageviews from someone who has tested them herself (and is now at 400,000 pageviews a month). She honestly shares what she tried: what worked, and what didn’t. I implemented several of her strategies, which I believe also contributed to my traffic increase. Manual pinning on Pinterest as outlined in Pinteresting Strategies clearly contributed to my success. However, as a busy homeschool mom of 4 kids 7 and under, it definitely cut into my time for content creation. Something had to give. It was pinning or content creation. I chose content creation and to take a break from manually pinning full-time, not because I don’t think it’s the way to go; I just had to prioritize (it’s so hard, isn’t it?!). I signed up for Tailwind this month because it gives you the best times to pin (when your followers are most engaged) as opposed to Board Booster which requires a lot more digging into analytics – no time for that! The only bummer for me about Tailwind is that it pins new pins every time, as opposed to increasing the repin counts for each pin as manual pinning does. You can check out Tailwind HERE – you can get a $15 credit when you use this link. If you are not getting results with Pinterest from your current scheduler and you have more time than I do, then I highly recommend manually pinning for a month to see how it affects your blog traffic. You really don’t have anything to lose if you are stuck where I was. I am still applying Carly’s overall strategies for Pinterest along with pinning a handful of specific pins manually. If you read Pinteresting Strategies for yourself, you’ll understand which pins fall into this category. This book got me unstuck and helped me understand my main social media platform from the inside out. 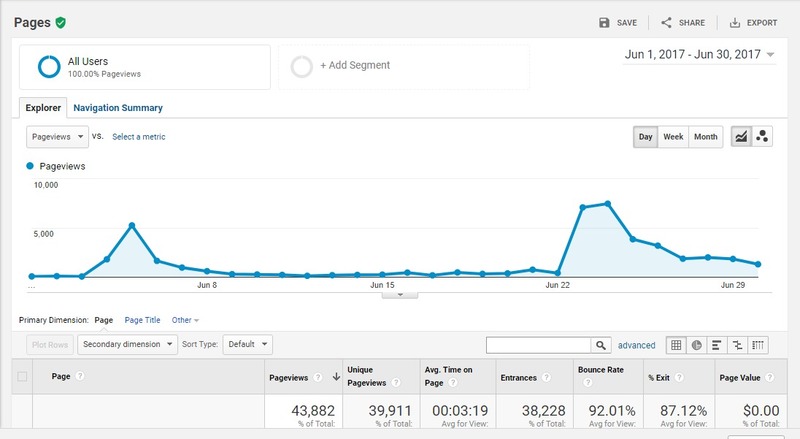 There you have it – how I went from 3K pageviews to 43K pageviews in one month! Have questions? Leave a comment, and I will do my best to answer them. I haven’t tried manual pinning yet. Might give it a try soon! Hope it works with my blog 🙂 Anyways, thanks for sharing this tip! You’re welcome! Manual pinning is definitely worth a try. I use both manual and a scheduler now with good results. OK, I just bought the book through your link! I have tried SO MANY other Pinterest courses, but nothing has helped. There was ONE month, back in the beginning of 2016, where my Pinterest referrals were going WAY up — but they changed their algorithm right then, and my traffic from them has been dropping ever since. I’ve spent the last two years trying to get it back! I invested the last four months in a system that hasn’t made a difference at all… so yea, I’m a bit frustrated with the whole thing, but I know Pinterest has been a good source of traffic for others, so I keep trying! I am curious, though, has your traffic stayed at that level since June? Hey Ann! Thanks for sharing. Pinterest is SO frustrating. The ups and downs and frequent algorithm changes are definitely discouraging. Full disclosure: I sustained that traffic through August, and then it did fall off. However, I attribute that to a couple of reasons. 1) I stopped pinning manually. I just could not sustain it because it required so much time and a daily commitment. With kiddos who are so little and homeschooling, I needed to use a scheduler (I do manually pin the pins that do well – she explains how to figure that out in GA) and see a definite boost every time I do that. 2) I was still trying to “niche down” into homeschooling, not taking the hint that my huge success was due to my minimalism posts. I did write a follow up post to my initial viral post that received just as many pageviews as the first. But then I stopped writing about minimalism for the most part. In the past couple of months, I’ve gone back to minimalism and seen the same success. 3) Pinterest keeps changing their algorithm – argh! As for the writer of the book, I am on her email list and she is awesome. I really admire her, though I don’t feel that Im in the same level of commitment that she is at the moment. She is very genuine and real – far more than other wildly successful bloggers I’ve met. She even just sent out an email showing exactly how she does her manual pinning sessions, and Im happy to forward that to you if you email me at thissimplebalance (at) gmail (dot) come. She still manually pins two years later and still gets over 200K pageviews a month, mostly from Pinterest. She knows her stuff! I also have a friend who bought the book and has been pinning manually for more than a month and seeing a boost. It’s so hard to tell what is from, of course – SO many factors – type of content, pin design, etc. I’ve seen your pins, and they look awesome. I think you could definitely do well on Pinterest – group boards are still in play (the board I mentioned is by far one of my best boards, and I have yet to find one that compares! ), though figuring out which ones are good ones is a gamble and takes testing. You’re welcome! Glad it was helpful, and best to you in navigating Pinterest! Those are fantastic results, June! 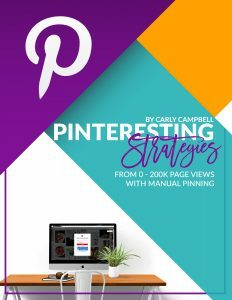 I read Carly’s book recently as well and I agree- it’s a very valuable resource for increasing pageviews and understanding Pinterest better. I also had to do a “hybrid” approach where I schedule some pins and manually pin others. It appears to be making a difference though! So happy for your success! That’s a great post I ever read. I had a misconception about pinterest marketing but you make me clear about all the things I need. I’d like to give a try all the metrics you mentioned. Very helpful tips! I’ll be sure to try these. Thanks Marissa. I hope they increase your traffic! I also bought the Pinterest Strategies book and she helped me figure out how I got my 45k followers when I never tried. Now I am adding her strategies to my blogging and Pinterest to get traffic to my own blog. Great post! Hopefully I can get movement to my blog also. That’s awesome Dana! Keep persevering in blogging – I’m convinced that perseverance pays off. Awesome job, June ! :) I just recently started manually pinning and I am totally seeing the results now. Thanks Latasha! I’m glad it’s been successful for you too. You’re welcome! I started with Boardbooster because it worked for so many others. It just didn’t work for me. What I like about manual pinning is it keeps me in the game – makes me much more aware of whether or not I’m spamming a group board, reminds me to pin from those boards to keep them healthy, keeps me aware in real-time of whats working and what’s not. Now that I’m using Tailwind to supplement my manual pinning, it is so tempting to check out! You sold me. I am buying the book. Your success is amazing. Thanks for the inspiration. You’re welcome! I hope it brings you a whole lot of success – getting stuck with low pageviews is no fun. Wow, that is amazing progress! Thanks so much for sharing your ideas in so much detail. Great post–and how exciting! I like the details of your strategy and will be trying some of these on my website. Thanks for sharing.